Get a little daring and change out of the same old flavors with some zesty new Dips and Seasonings. 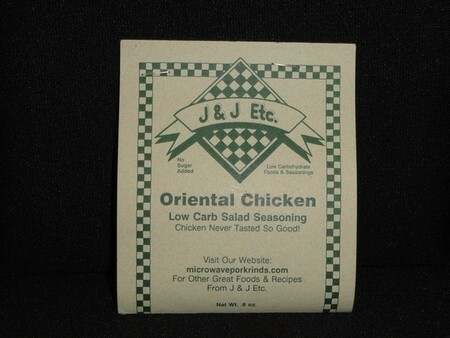 Oriental Chicken: Add this seasoning with some mandarin oranges and take your chicken salad to a whole new and unexpected level. With natural ginger, curry, cayenne and other carefully selected spices this seasoning will change up to 4 cans of chicken with a flavor sure to satisfy.